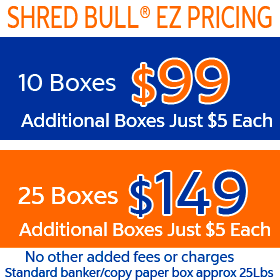 Shred Bull Shredding, Foothill Ranch is a customer focused, document destruction company. When you call Shred Bull Shredding, Foothill Ranch about your Foothill Ranch shredding needs we will do our best to be brief, friendly and helpful. We want to earn business, but also understand the value of your time. We try to get straight to the point, after all we are here to help. We offer business service or residential service in Foothill Ranch (zip code)92610, either way, we hope you will find us easy to deal with and very professional. We are a mobile shredding company, meaning we are driving all over (Foothill Ranch) Orange County every day. We are happy to schedule a stop at your storage unit, home, office or wherever. Your calls and requests are encouraged, after all we are here to serve you.